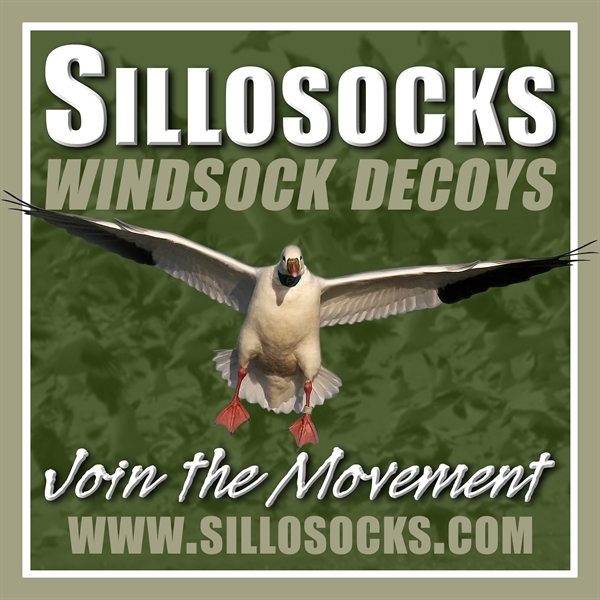 These KnockDown Headless Blue Goose Decoys (SS1685) by Sillosocks Decoys are the best headless Blue goose on the market! The artwork and no-shine printing are superior to anything out there. 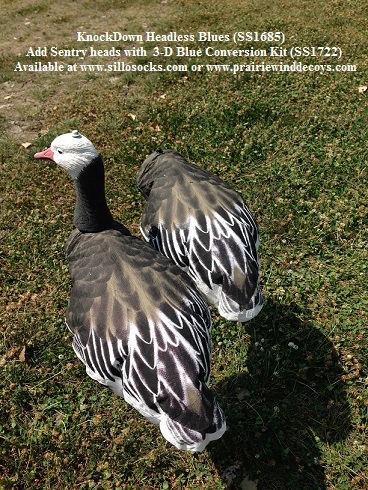 Blue geese are the same species as snow geese. They are just a different color phase. Kind of like a black Lab and a yellow Lab. 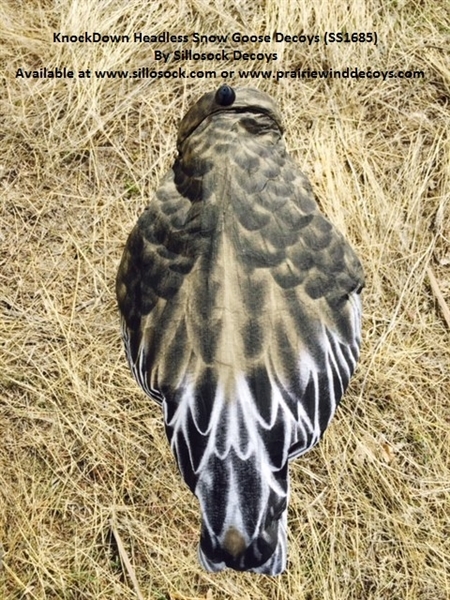 This gene seems to be dominant as there are more Blues each year. Adding the proper number of Blues to your spread will help you kill more geese. Blue decoys in your rig are also a huge "plus" when it snows! 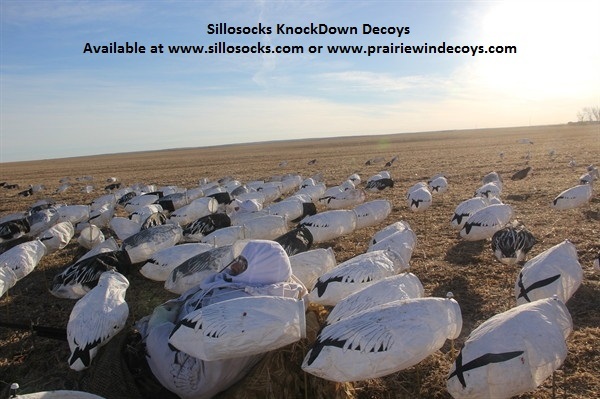 What makes these traditional windsock decoys unique is the lightweight "KnockDown" support system which folds up. 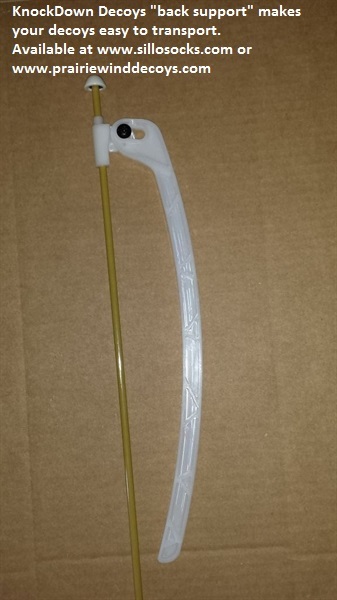 This makes this decoy mobile, lightweight, and compact. 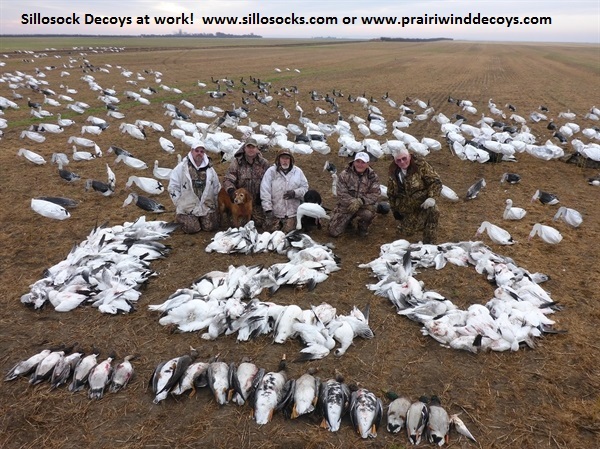 These features are the key to successful snow goose hunting. This support system can be made permanent if desired with a sheet metal screw. The 26" fiberglass stakes goes completely thru the decoy so you can tap on it with a hammer in hard/frozen ground with a rubber mallet. 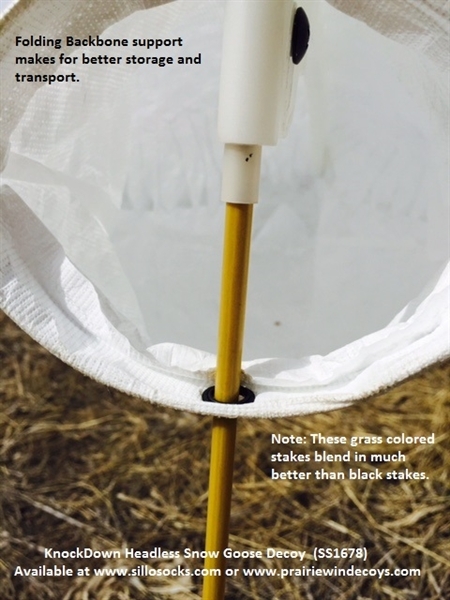 The tan/yellow colored stakes blends much better than the competitors traditional black stakes. 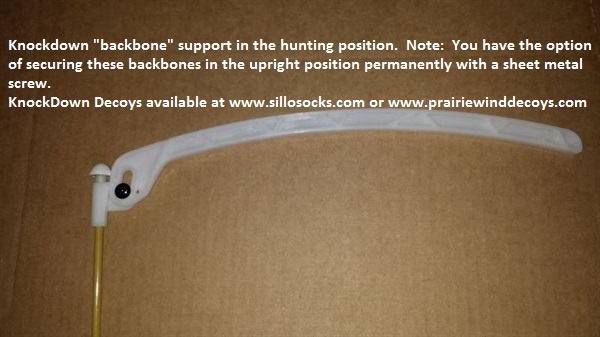 These fiberglass stakes eliminate bent steel stakes and "rust" getting on your nice white decoys. 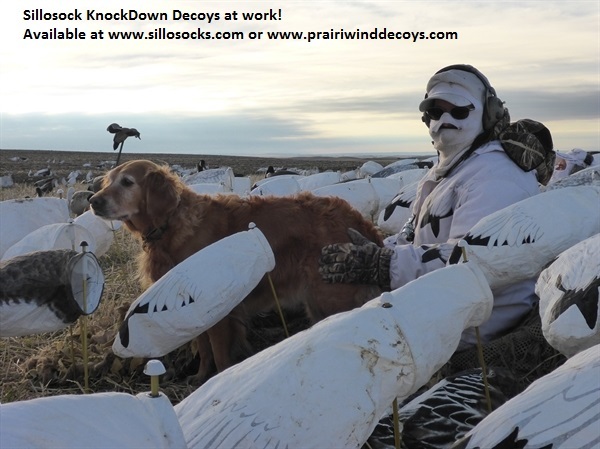 These new space saving windsock decoys have grommeted collars which helps them puff up with only a 1 mph breeze. 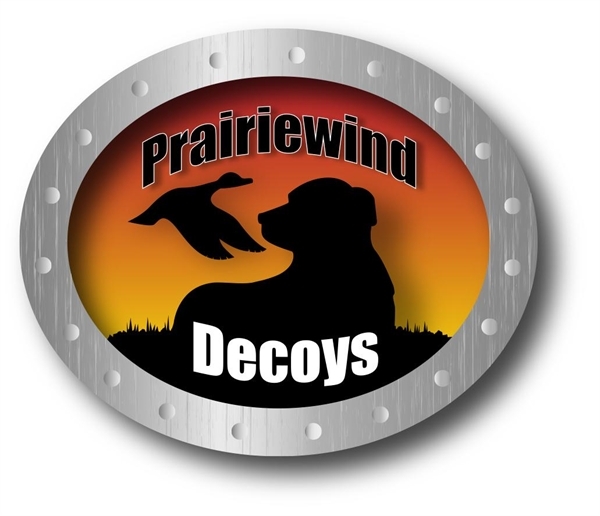 These decoys will pivot with the wind as it changes. Super lightweight... yet strong and durable. 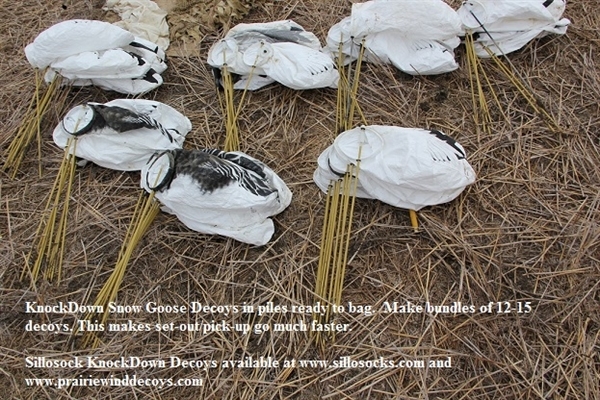 These headless decoys weigh only 2 pounds 7 ounces per dz. They fit beautifully into a Sillosock cube bag, RubberMaid tub, or a seed bag. 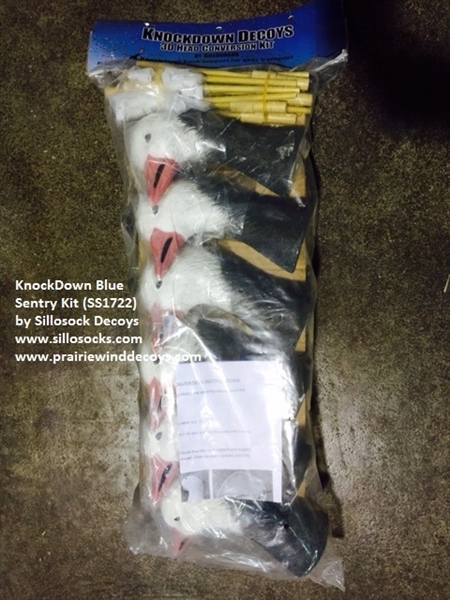 These KnockDown Headless Blue Goose Decoys (SS1685) by Sillosocks Decoys come with built in drain holes. The No-shine super realistic feather detail is the best on the market. 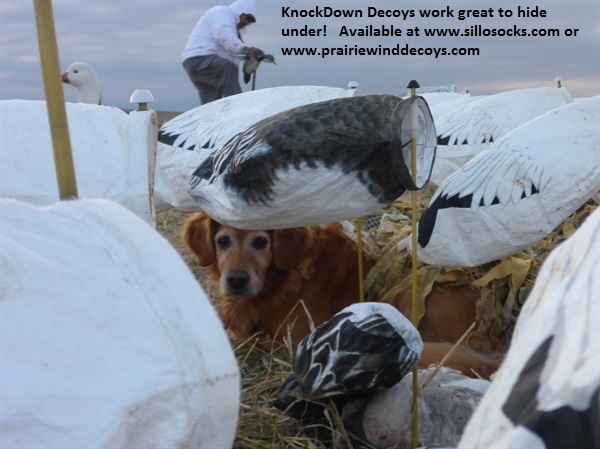 The headless KnockDown decoys come assembled with the stakes on........ready to hunt! 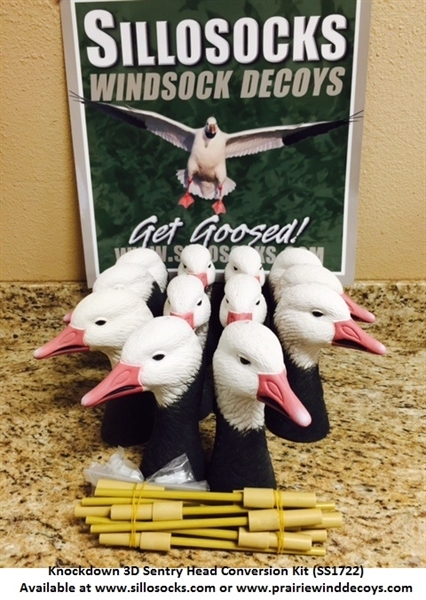 This package includes 12 Headless Blue goose decoys with 26" stakes. **OVERSTOCK SALE** Normally $840, Now $590 PLUS FREE SHIPPING!